This Contribute post was provided by Kevin Comerford, Director of Digital Initiatives and Scholarly Communication at the University of New Mexico Libraries. New Mexico has rich and diverse cultural heritage, and the University of New Mexico Libraries play an integral role in making the state’s historical collections accessible to students, researchers, and the public. 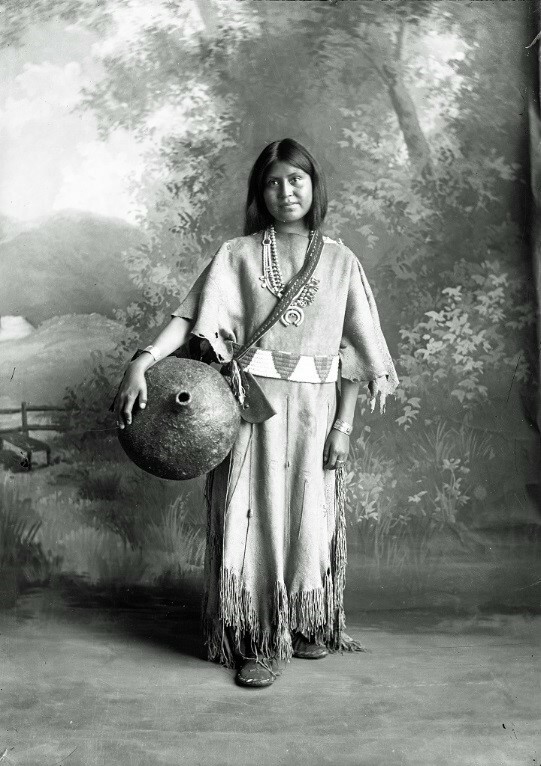 The libraries’ Center for Southwest Research and Special Collections houses photographs, manuscripts, books, and archives relating to New Mexico, the Southwestern United States, Mexico, and Latin America. The Center’s collection strengths include works on Native American, Chicano/Hispano, Latin American, and Spanish Colonial heritage. Working in partnership with the Center for Southwest Research, the libraries’ Digital Initiatives and Scholarly Communication Center (DISC) provides online access for UNM’s special collections and archives, as well as a wide variety of digital resources from institutions throughout the state. DISC faculty and staff manage image and multimedia digitization projects, develop special project websites, and produce electronic educational resources. DISC also supports cooperative local, state, and national initiatives dedicated to access and preservation of digital content, and promotes open access to scholarly resources at the university. Some of the major projects that DISC currently manages are described below. New Mexico Digital Collections (NMDC) is a ContentDM-based digital media repository that is over ten years old. The site contains more than 100,000 objects and features collections from UNM and 21 other institutions. 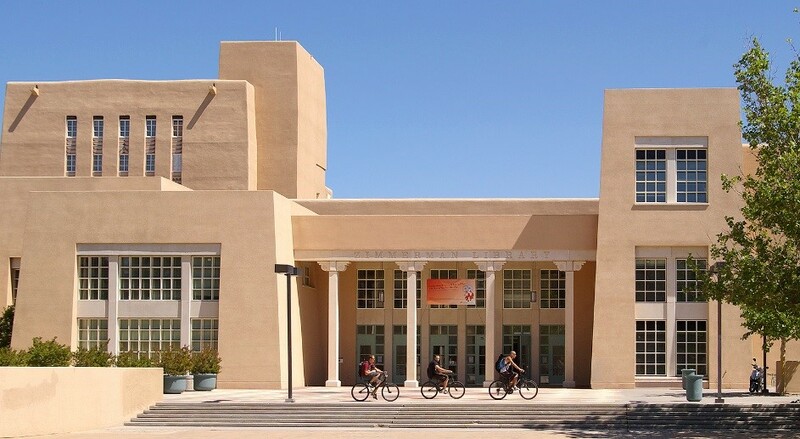 A service of the University of New Mexico Libraries, NMDC provides access to digitized photographs, manuscripts, posters, oral histories, videos, maps, and books from libraries, museums, and cultural centers across the state. The libraries are currently engaged in developing the next generation platform for NMDC, which will include many feature improvements and content management enhancements. The Rocky Mountain Online Archive is a repository of EAD-encoded archival finding aids for collections in New Mexico, Colorado, and Wyoming. RMOA currently hosts more than 10,000 individual finding aids from 30 participating institutions. Users can search for historical and archival materials at individual institutions, or across all the collections of RMOA partners. Anthony Grove Hillerman (1925-2008) was an award-winning author of southwestern literature. The Tony Hillerman Portal is a comprehensive online resource for researchers and students who wish to learn more about the author, his life, and work. 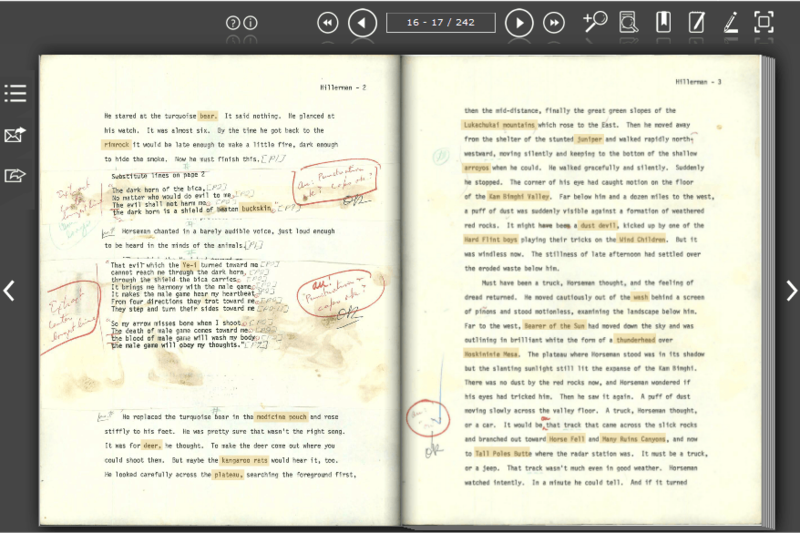 The site hosts high-resolution digital reproductions of Hillerman’s manuscripts, screenplays, and papers, as well as a complete bibliographic catalog of his published works. A major focus of the project has been on the development interactive features for the manuscripts that help students navigate the southwestern cultural, historical, and geographical references that are core to understanding Hillerman’s works. These include embedded hyperlinks that dynamically connect users to a comprehensive online Encyclopedia of the Southwest. Geography is also an important element of Hillerman’s novels, and additional links throughout the website lead to online maps that show both the movement of characters and the locations where major events and scenes occur in each story. The site also includes a repository of author interviews, media appearances, articles, and book reviews, along with extensive biographical information. 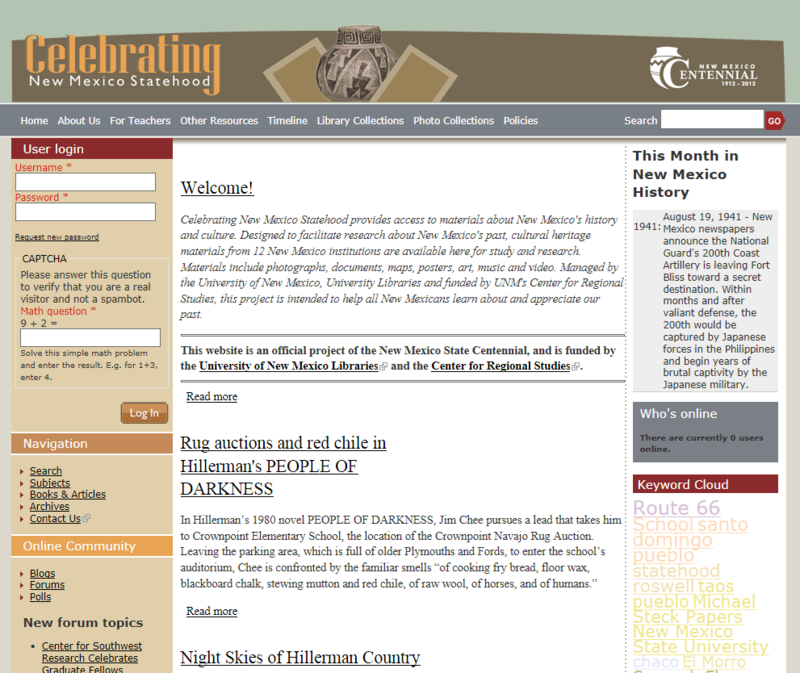 This website was developed for the New Mexico statehood centennial celebration in 2012, but continues to be a popular resource for teachers and students across the state. The site provides access to educational materials about New Mexico’s history and culture, including a historical timeline, lesson plans, and an integrated search engine that can retrieve collection resources from 12 area cultural heritage institutions. Study and research materials include photographs, documents, maps, posters, art, music, and video. Sponsored by UNM’s Center for Regional Studies, this project helps all New Mexicans learn about and appreciate their state’s history. 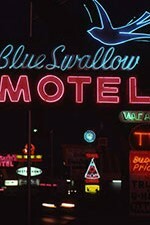 The Center for Southwest Research recently completed a project to photograph the entire path of historic Route 66 through the city of Albuquerque, documenting the current state of many famous landmarks and historic buildings. This project will develop a “mixed reality” interface that allows contemporary location photographs of “the mother road” to be compared with historic images and 3-D models of original Route 66 landmarks. The resulting resource will be valuable for education and historical research in a variety of disciplines. As university special collections grow, so does the desire to digitize these resources for archival, preservation, and access purposes. However basic access to images and multimedia through online databases alone is no longer sufficient for today’s students and digital humanities researchers. Thus the challenge for digital scholarship centers like DISC is to design innovative and useful interfaces that provide new access methods, intelligent search engines, and enhanced contextual metadata for digital library collections.